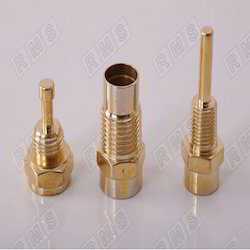 Supplier & Manufacturer of Brass Auto Components. Our product range also comprises of Brass Components, Brass Inserts and Brass Meter Components. 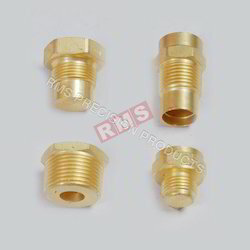 Backed by the vast industry exposure, we are involved in offering a wide range of Brass Sensor Parts in the market. These products are manufactured from best quality components. These products are widely admired for their flawless performance and fine finishing. 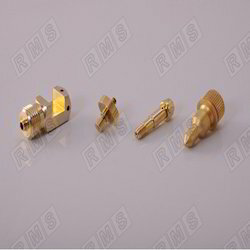 Customers can avail these parts in several thread types and coating options to fulfill the varied requirements of the customers. We are one of the trustworthy names in the industry in presenting a wide gamut of Brass Auto Parts to our esteemed customers. The offered parts are precisely designed by domain experts using the finest quality of brass and sophisticated technology. In addition, made available in several specifications and reasonable price, its demand is quite high.